COLUMBUS, GA (WTVM) - Over the past seven days, a lot has happened in the Chattahoochee Valley, the nation and the world. A student received a full scholarship to an Ivy League school, a murder case has come to a close, a tragic shooting claimed the lives of ten people in a Texas school, and a royal wedding saw the marriage of a British prince to an American woman, just to name a few. Check out the week's top stories below. 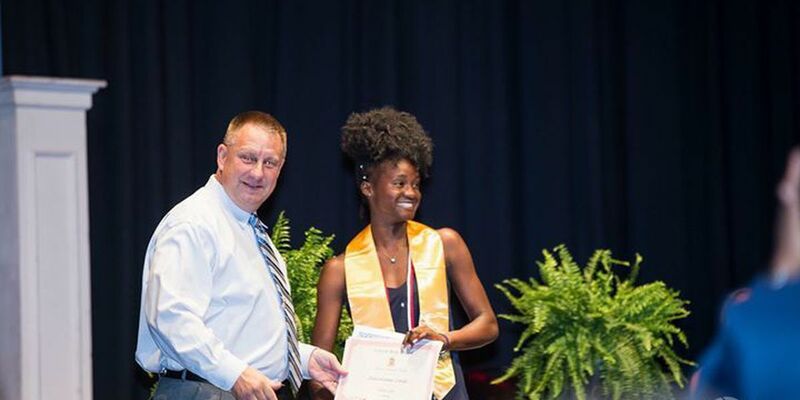 A Central High School student in Phenix City has received a full scholarship to Yale University. Davornne Lindo said she was in complete shock when she opened the email and found out about the scholarship, thinking it was going to be a rejection letter. Georgia gubernatorial candidate Michael Williams has made some waves with his atypical campaign bus tour involving his 'Deportation Bus.' Williams says the bus is to show that he opposes illegal immigration and sanctuary cities, but many people are calling the bus racist. Peachtree Mall in Columbus issued a statement denying the 'Deportation Bus' access to campaign on their property. The mall says that it refrains from partaking in any political campaigning and is not only denying access to Williams. Police in Virginia Beach, Virginia ticketed a man $100 for smoking in the car with a child present. It has been illegal in Virginia to smoke in a car while a child under the age of eight is in the car since 2016. The winner of an Oreo flavor contest is saying she did not receive the promised prize of $500,000. Taylor Young of Colorado submitted an entry to the contest saying Oreo should make a Cherry Cola flavor. Young says she even received a box of two Cherry Cola cookies thanking her for the idea before Oreo stopped communicating with her. She later saw Cherry Cola Oreos on the shelves and was told by the company that Cherry Cola Oreos were already in production and therefore not her idea. 21-year-old Jakorbin King was shot and killed in his Columbus apartment in April 2017. Four people have been convicted of his murder with a fifth, a minor, having not yet entered a plea. Three of those four have now been sentenced. 24-year-old Jylonda Jones was given of lesser sentence of two years in prison, two years of probation and banishment from six area counties for a guilty plea. Marquavious Howard was sentenced to life in prison with the possibility of parole. Samuel Jones, the brother of Jylonda, was given six months to get a necessary eye surgery, but was sentenced to 15 years with five to serve, as well as banishment from six counties. A murder investigation in Columbus is over before it can truly begin. Columbus police are closing the April 1 shooting death of Alec Spencer after realizing all key players are now deceased. Darrell Boggans was shot alongside Spencer, but survived the attack only to be killed in another fatal shooting on Winston Rd. just weeks later. A warrant was issued for Damion Collier in connection with Boggans' death. Collier is also now deceased following an officer-involved shooting at Wilson Homes Apartments May 2. One Troup County Family is fighting for change in Georgia Codes after losing a loved one in a fatal accident, channeling their grief into activism. A head-on collision along Georgia 14 in Troup County on May 3, 2017 resulted in the death of 54- year old Patricia Sams, and severely injuring her daughter and granddaughter. The other driver, Heather Washburn was cited for failure to maintain lane and second-degree homicide by vehicle, a misdemeanor punishable by only up to a year in prison and up to a $1,000 fine. Washburn has yet to serve any prison time. A SunTrust bank inside a Columbus Publix grocery store was robbed. Columbus police say the suspect had a firearm when he demanded money. CPD has released a surveillance photo of the suspect and continue to search for suspect. A recall has been issued for eggs sold at several grocery stores as they could be contaminated with Salmonella bacteria. If you've purchased the recalled merchandise, you can return them to the store for a full refund. Another tragic school shooting has taken place. Ten lives were claimed inside a high school in Santa Fe, Texas, while ten more were injured. The suspect, 17-year-old Dimitrios Pagourtzis, is in custody and has been charged with multiple counts of capital murder, with more charges expected to come down, possibly including charges involving weapons of mass destruction. Police also say pipe bombs and pressure cooker explosive devices were also found at the high school or nearby. Another person of interest has been taken into custody, but it is unclear at this time if he is an accomplice of Pagourtzis. Prince Harry and American actress Meghan Markle have officially tied the knot and become the Duke and Duchess of Sussex. The long-awaited royal wedding happened in the early morning hours of May 19, beginning at noon at Britain, which is 7:00 a.m. ET in the U.S.